This summer The Progression Sessions heads to the Southern Hemisphere! August 29 – September 4, 2016, the seasoned women's snowboard camp goes to Chile for the first-ever Steep-N-Deep Powder Tours x The Progression Sessions camp, a seven-day, six-night experience that builds on park-centered curriculum by taking the Progression Sessions into the rugged mountains of Chile where participants will grow their skills from park to powder to technical freeriding, all while getting to dive into and explore the amazing Chilean culture! Christine Savage and Mary Walsh, head coaches of the Oakley Progression Sessions park camps for the past six years, will be guiding and coaching the group in Chile along with Lead Guide and Founder of Steep-N-Deep, Ian Gill. Ian is a native Chilean who spends his Northern Hemisphere winters in Lake Tahoe. 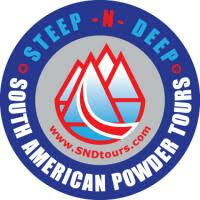 He has been riding in the Chilean Andes for twenty year and has thirteen years of experience guiding groups in Chile. Not only does Ian know the best trails, lines, and zones to snowboard during the day, but will also introduce the group to the most incredible restaurants, nightlife, scenic outposts, and unique urban centers, providing the an epic experience of both Chile's mountains and its culture. At every stop of the way, a 5-to-1 camper to guide ratio allows for one-on-one coaching and a cohesive group support system so everyone can grow and progress together. Ian, Christine, and May will be supporting, guiding, and coaching the group through every turn, building confidence while exploring exciting terrain. Also very exciting is the addition of an Avalanche Awareness and Backcountry Safety segment which will not only prepare the crew for heading into the Chilean mountains to find fresh snow but also is a great tool to take back home for the coming winter. "We are so excited to add the first Southern Hemisphere stop of The Progression Sessions and partnering with Steep-N-Deep was the perfect way to bring this experience to life," says Christine Savage. "I am so stoked to bring a group of women into the mountains on Chile, where we can take park laps, ride powder, and go into the Chilean backcountry. At the core of The Progression Sessions is building confidence to safely tackle new terrain, challenge ourselves, and grow as snowboarders and the Steep-N-Deep experience does just that. We will ride fun trails, try new lines, and progress our skills in some of the most beautiful mountains on Earth." While snowboarding is, of course, the focus of the week, the Steep-N-Deep x The Progression Sessions camp is about the full experience of spending a week in Chile. So, after spending four days in Farallones riding the surrounding resorts, the group will head to the Chilean coast for a two days of city exploration and surfing (don't worry, all gear is supplied and lessons are available for those new to standing sideways in water!) to cap off the epic riding and once again push ourselves into exciting new things! We will celebrate together on the final night with incredible Chilean food and drink and toast to a week well done! "Ian has been guiding skiers and snowboarders for over a decade in Chile and knows both the mountains and the cities of the country incredibly well," says Mary Walsh. "Not only will he take the group to the best terrain both in and out of the resort, but also he provides an unmatched cultural experience. We're talking epic Chilean meals, a wine tour, a day of surfing on the coast and exploration of Chile's cities, including Santiago, Viña Del Mar, and Valparaiso. The Steep-N-Deep Progression Sessions is going to be insane." – Goodie bag with gear from Oakley and other brands! For more information, check out Sndtours.com and @sndtours and on Instagram. Get more information and register at Sndtours.com or by emailing Ian@sndtours.com and theprogressionsessions@gmail.com. Your adventure begins when we greet you at the airport. A short drive later we’ll arrive at our hotel, settle in for a quick minute to recharge our batteries because we’re about to take a beautiful tour of Chile’s capital, Santiago. We’ll spend the day exploring the city’s markets, beautiful architecture, historical monuments, and delicious food. At the end of the day we’ll dine at one of Santiago’s most popular and historic restaurants located near the hotel. Lots of delicious food is on the menu as we get to know one another and prepare for an amazing week of snowboarding in the Southern Hemisphere! Day two marks the start of our epic adventure of riding nothing but the best mountains Chile has to offer. We’ll stay in the village of Farellones, nestled in between the resorts of La Parva, El Colorado and Valle Nevado. We’ll see beautiful sunsets, shred endless powder and discover a Chilean favorite, the Pisco sour! We'll be riding most of our days at El Colorado, which consistently has the best park in all of south America. We will ride together, exploring fun trails, finding new lines, and utilizing the snow conditions (hopefully lots of powder!) to tackle challenging and rugged mountain terrain as a group. Ian, Christine, and Mary will guide us through increasing our comfort and abilities in both the park and while freeriding incredible, Chilean terrain. On the night of Day 5, we head back to Santiago for a delicious dinner and some nightlife. It’s time to go down to the coast and get to know the cities of Viña Del Mar, Valpariaso and Con Con. These three cities embody what Chile is all about: relaxation, fun and spectacular views. On the way to Viña Del Mar, we stop off at one of the local wineries for lunch and wine tasting. We arrive in Viña Del Mar the afternoon of Day 6 and stay at a hotel located on the edge of the ocean. After checking in we take a short cruise to, in our opinion, one of the world's most interesting cities and world heritage site, Valparaiso. We spend the rest of the day exploring the labyrinth of murals that cover the city walls, stopping along the way to eat and drink as the locals do. At night the city of Viña Del Mar is full of life and if anyone is interested, we can take you to the best spots for drinks and dancing. After breakfast we head over to Con Con for a morning surf. For those new to surfing, we will have instructors and lessons available so everyone can get out there and enjoy the water! After surfing, we'll refuel in style. If you love seafood Con Con is the place. We'll be enjoying lunch with the view of the Pacific. After lunch we head back to Santiago to drop you off at the airport and back to reality.